Sift maida and baking soda together. make a well in center and add oil and curd, Mix well. Now with the help of milk make a soft dough and knead well for 2-3 mins. cover the dough with kitchen towel and leave for 2 hours. Aftef 2 hours again knead for a minute. 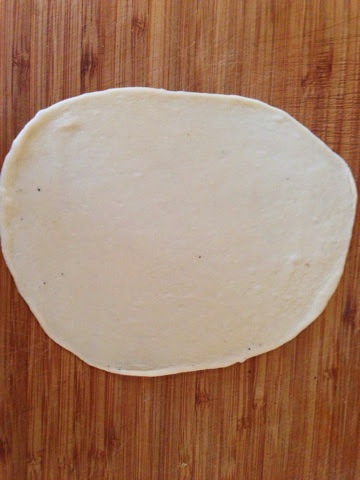 pinch a dough of roti size and roll like a roti, you can make round or oval shape. 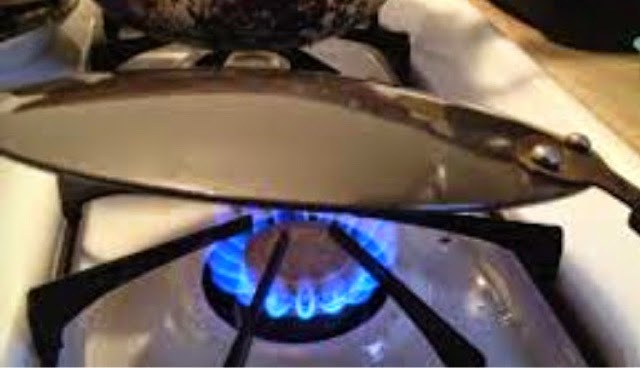 brush with water on one side and put on hot tawa by wet side down. 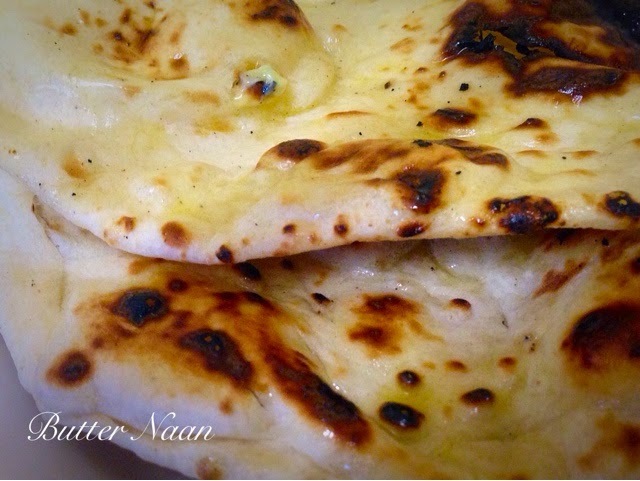 As soon as some bubbles appear, hold tawa upside down and cook naan on direct flame until some brown spots appears. 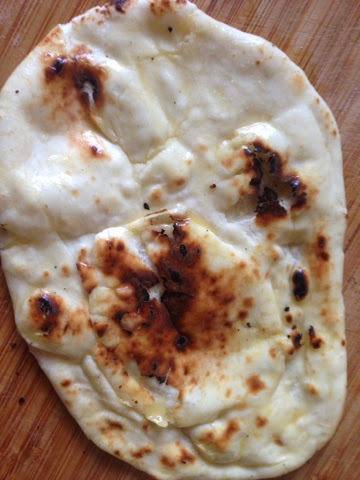 keep the skillet back on stove again and take out naan. brush with butter and serve hot with desired curry. please leave comments if you like the recepi or have any questions. 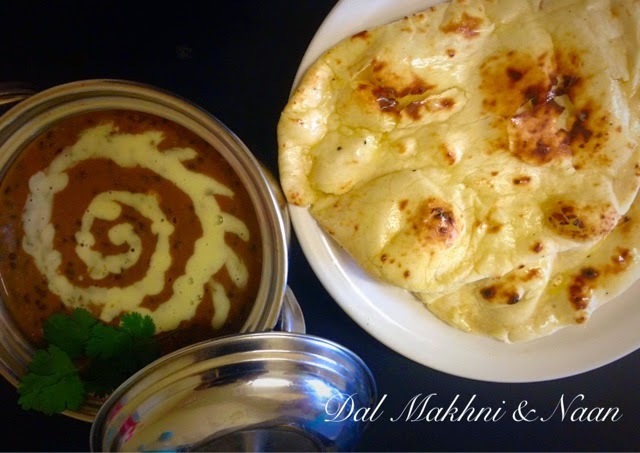 Hi Pooja, awweesome it turned out, I made both for lunch dal makhni n naan.thanks. 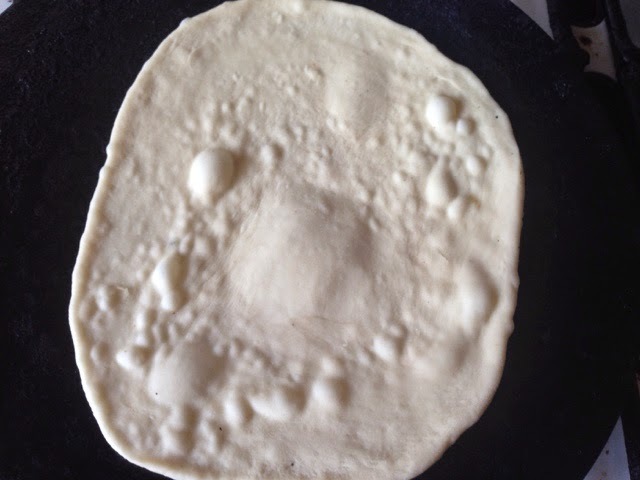 Just that I dint get bubbles on my naan and when I turned it fell on gas so I cooked it anyway :) but what went wrong ?